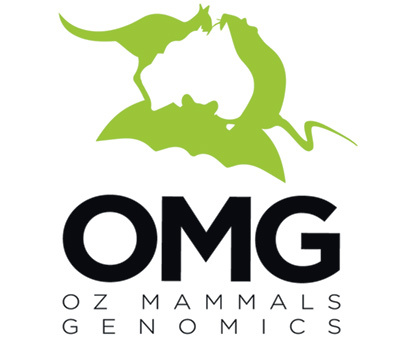 The Bioplatforms Australia-sponsored Oz Mammals Genomics Initiative is generating a resource consisting of reference datasets of core genome and transcript data for Australian native mammals, to support national research efforts in mammal genomics, evolution and conservation. The consortium reserves the right to conduct ‘global analyses’ across these whole genome, exon capture and reduced representation (ddRAD) reference datasets and publish the results in the scientific literature.  However, in accordance with the Bermuda and Fort Lauderdale agreements and the more recent Toronto Statement, which provide guidelines for scientific data sharing, the consortium is committed to ensuring that data produced in this effort are shared at appropriate times and with as few restrictions as possible, to advance scientific discovery and maximise the value to the community from this Australian Government National Collaborative Research Infrastructure Strategy (NCRIS)-funded dataset. This policy describes the data associated with the consortium, roles and responsibilities of various consortium members and data users, release schedules and communications/publications expectations. Marsupial reference whole genomes (WGS). Exon capture to generate a comprehensive phylogenetic framework for Australian mammals. Reference ‘reduced representation’ and exon capture genomic datasets for threatened species requiring conservation management. Consortium members will determine the experimental design for each of the study areas above. DNA and/or RNA will be extracted by consortium members and genomic data will be produced from several Bioplatforms network data generation facilities. Following production, raw data will be uploaded to a password-secured central data repository, which is physically located in Perth and managed by the Centre for Comparative Genomics (CCG, Murdoch University, Perth) on behalf of Bioplatforms. To enable recovery in case of disaster, all data in the CCG-managed repository will be mirrored at a second site in Brisbane that is managed by the Queensland Cyber Infrastructure Foundation (QCIF). Data from the QCIF mirror of the central repository can be made available for direct download via a password protected web interface to authorised users and for specific requirements (see Section 3). Metadata associated with each file and files names will be made publicly available via a web portal and associated Application Programming Interface (API), which is managed by CCG for Bioplatforms. These will include metadata relating to the origin of each sample analysed and methods used for the extraction of DNA / RNA, preparation of sequencing libraries and the generation of sequence data. Access to the actual data files via the web portal and API will be restricted to authorised users and will require authentication through password use. The data will be licensed for use under a Creative Common Attribution License (CC BY 4.0). with the appropriate acknowledgement as defined in our Communications policy. If determined necessary by Bioplatforms and/or the initiative partners, in consultation with various research champions, copies of the intermediate and analysed data may also be stored elsewhere. As noted above, when this option is executed, access to any copies of the data and metadata must be controlled under identical conditions as required for the primary copies. Raw data will be shared with consortium researchers and bioinformaticians. Where appropriate Intermediate and/or analysed data will be uploaded by bioinformaticians to the secure central data repository in Perth and mirrored in Brisbane as described above. Data downloads and API access will be provided under the same set-up as for the raw data. Ultimately, the data generated in this project will be made available under open-access conditions to the international research community, through a variety of relevant established international data repositories such as the European Nucleotide Archive (ENA) (See also Section 4 – Data sharing schedule). Using and safeguarding information according to the conditions stipulated by the Data Sponsor and/or Custodian – including observing any relevant ethics approvals, legislation, data use policies (including this Policy and other relevant data use policies imposed by the Data Owner) and their responsibilities. Various data types will be made available throughout the multistep process of generating, processing, assembling, annotating and dispersing the reference datasets. All communications (scientific or general publications and presentations) that arise from the consortium’s work will appropriately acknowledge the input of all relevant contributions. The expectations are detailed in the Consortium Communications Policy.